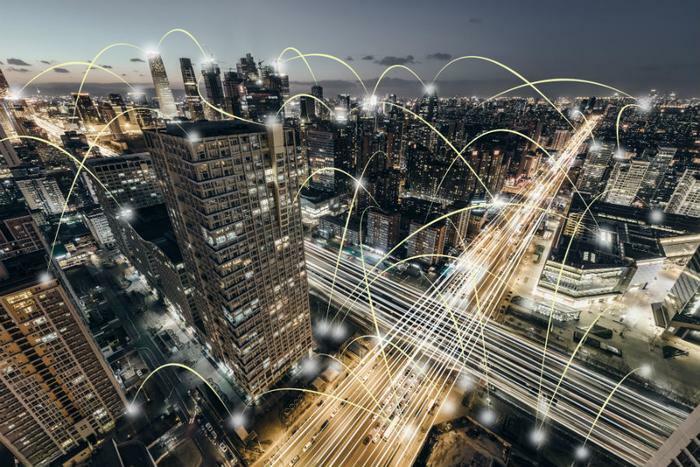 The partnership will use Facebook’s Terragraph technology to build a multi-node wireless system based on 60GHz technology from Qualcomm, with the ultimate goal of bringing high-speed internet connectivity to dense urban areas. The social media giant has been working on Terragraph for several years in an effort to replace fiber broadband with 60GHz millimeter-wave wireless. Facebook first unveiled Terragraph at its annual developer conference back in 2016, touting it as a wireless service that could deliver faster and more reliable coverage in dense urban areas. The technology was designed to offer a replacement for fiber or cable in homes and businesses. It works by utilizing a large number of antennas, channel bonding, time synchronized nodes, and TDMA protocols -- enhancements that help direct signals around urban obstacles like concrete buildings, serve more users, and reduce costs. Qualcomm will integrate its upcoming chipsets with Facebook’s Terragraph technology, enabling manufacturers to build 60 GHz millimeter wave solutions using the unlicensed 60GHz spectrum and provide Fixed Wireless Access (FWA). "With Terragraph, our goal is to enable people living in urban areas to access high-quality connectivity that can help create new opportunities and strengthen communities," said Yael Maguire, vice president of connectivity at Facebook. The collaboration will hopefully help to reduce congestion in overcrowded urban wireless networks. "Our collaboration with Facebook will bring advanced 11ad and pre-11ay technologies to market increasing broadband penetration and enabling operators to reduce their capex [capital expenditure] for last mile access," explained Irvind Ghai, vice president, product management, Qualcomm Atheros, Inc.
"Terragraph cloud controller and TDMA architecture coupled with Qualcomm Technologies solution's 10 Gbps link rate, low power consumption, and early interference mitigation techniques will help make gigabit connectivity a reality." Trials of the new technology are expected to begin in mid-2019. The companies didn’t announce which cities would receive the service first, but Facebook previously suggested that Terragraph would be tested in San Jose.